Today is my mum’s birthday! She is turning 33. My dad made her breakfast which was scrambled eggs, rock melon and scones with bacon and cheese in them. I love my mum because she spoiled me and she has always been there for me with my learning, sports and music. On Sunday we are going to celebrate her birthday. We are going to have a feed at my Nana's house. There is going to be my aunty’s my uncles my Nana and my papa. My mum is a social worker for mangere. The memory for me and my mum is when I will always play my netball and she will always try and come and cheer for us girls. 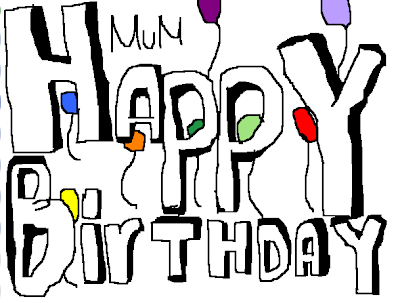 HAPPY BIRTHDAY MUM! Wow what an awesome blog post! So proud of you my sweetheart. Always keep striving to do your best in class. I've really enjoyed reading your posts, Mama and Papa would be so proud of you. Keep up the great work!! !